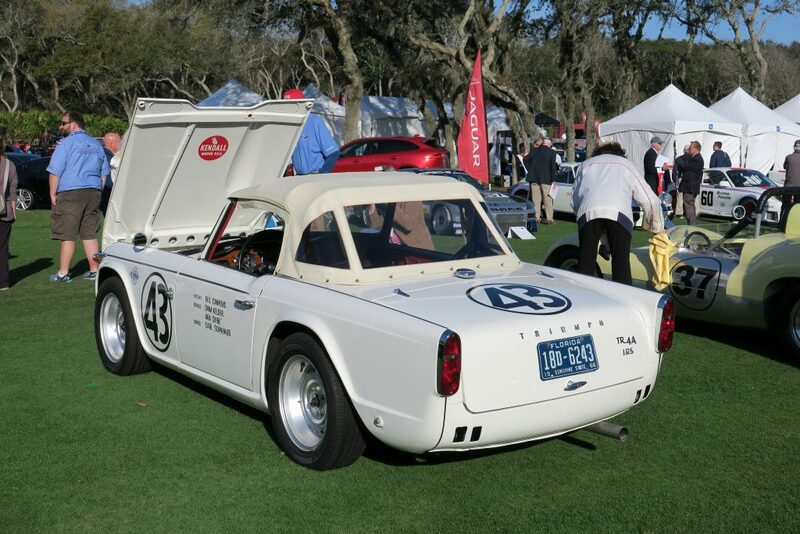 Triumph TR4A from Amelia Island. 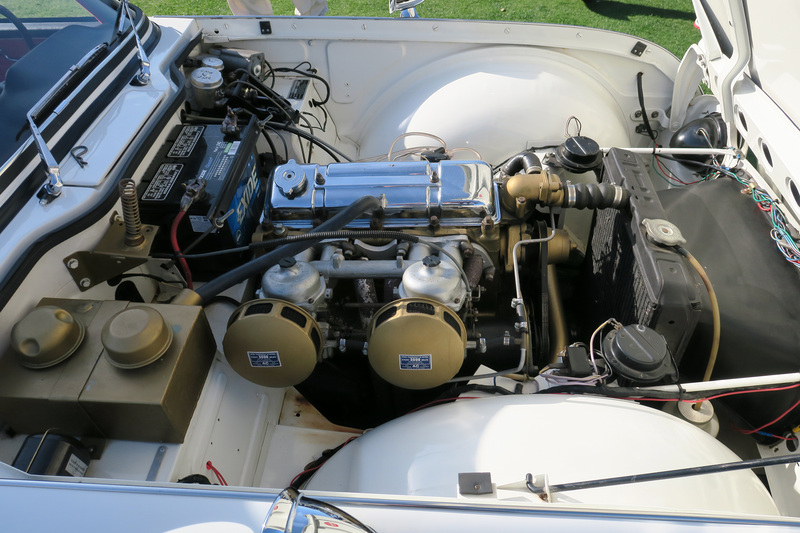 My buddy Alex snapped this 1966 Triumph TR4A at the recent Amelia Island Concours d’Elegance. 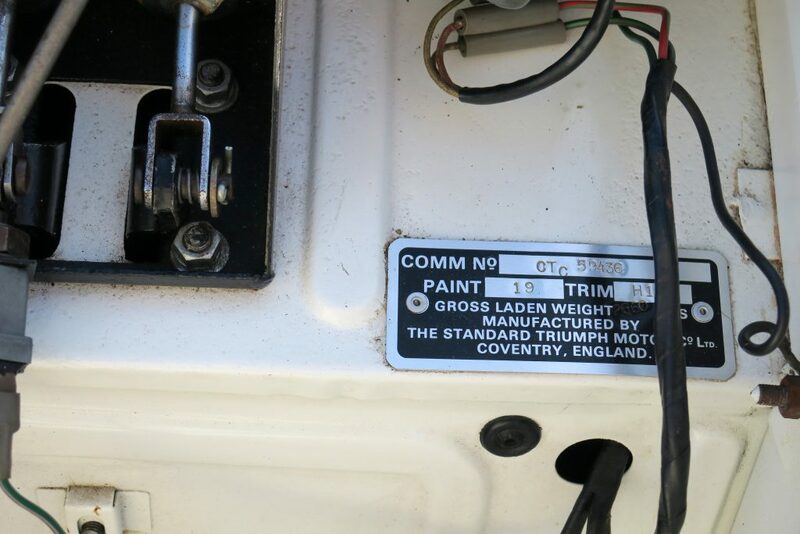 This TR4 was purchased new in Daytona Beach Florida by De. 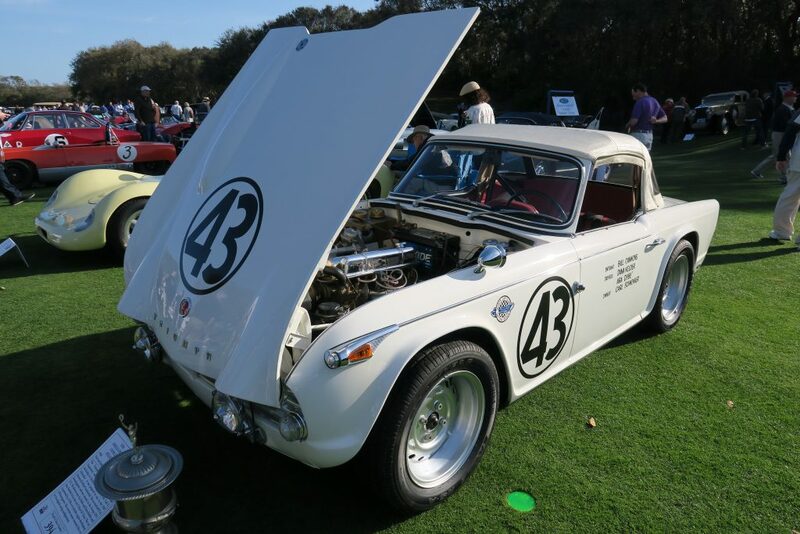 Carl E. Schwenker and was then prepared for the 1967 Daytona 24-Hour Continental and received FIA homologation for Group GT3-GT. During the event the drivers Ara Dube and Dana Kelder finished 1st in the over 2-litre GT class. Ther current owners, Fred and Jody Schmidt, recently restored this TR4 to its original racing specification.